The ICLEI Urban-LEDS project adopted a unique collaborative scenario planning approach to low-emission development planning in two South African municipalities. It reveals diverse insights into the challenges linking climate change to the future economic competitiveness of the region. The way we produce and use energy is not only a technical issue. It is also fundamentally about the political economy of decision-making, that is, how money and land get used, by whom, for what ends. It is about ideas, power and resources as much as about making technological engineering choices. This is especially true at the city-scale, where development ideologies are rooted in place and space. Recently, ICLEI – Local Governments for Sustainability – Africa partnered with planning expert and futurist, Shahid Solomon, to use a qualitative, innovative scenario planning approach to low-emission development planning in two municipalities. We aimed to make explicit links between what might be narrowly perceived locally as an ‘energy’ or ‘environmental’ or ‘climate change’ agenda, and the future economic competitiveness and social structure of the Province in the face of the inevitable low-carbon transition in South Africa. In this brief article we reflect on our experience, focusing on what transpired in KwaDukuza Municipality, KwaZulu-Natal. The political economy of low-carbon development was engaged with, and avoided, in equal measure. Diverse insights and perspectives, reflecting different claims on the future of development in KwaDukuza, were brought to light. Tough choices about short-term benefits, risk-taking and financing were discussed. Yet there were some elephants in the room: infrastructural, political (some outside the control of our group) and the fact that some powerful players were absent. A fuller paper, exploring these insights further, is planned. A range of socio-economic statistics on KwaDukuza Municipality can be found here. One of the fastest growing municipalities in KZN, the Municipality has set itself the target of being an economic powerhouse by 2030. The question is: what will this new city look like? The embedded energy use (and likely continued energy inequality) in a business-as-usual, sprawling, car-based development path will be high. It may even render the area economically uncompetitive in a carbon-constrained world. A summary of the approach we took can be found here. 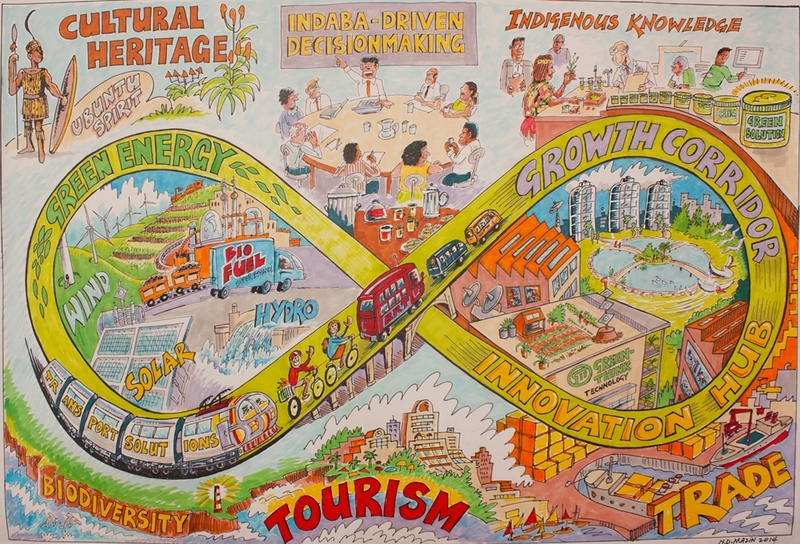 Having identified local low-carbon driving forces through 10 local interviews, two stakeholder-driven imbizo’s saw the co-creation of four potential scenarios for KwaDukuza’s future growth and development path. Using expert input, narratives and visioning exercises, the ‘tough choices’ that would be needed to reach the preferred future scenario were identified. A 2030 low-emission vision for KwaDukuza was drafted. Six transition areas signposted the pathway for reaching the vision. The full results of this narrative-driven process can be found in this series of articles: from the first imbizo, to the second, to the sharing of the scenarios with the local community and a subsequent action planning workshop. There is huge value in a collaborative process. The workshops provide a powerful platform to collate vast quantities of knowledge and insights in a short space of time. One of their strengths is that they target a diverse group embracing the principle of ‘wholism’ when it comes to affecting systemic change. The scenarios process enables these groups, especially different tiers of government and the private sector, to come together in a unique setting to form new partnerships in a co-creation of the future. Some of the tough decisions to be made lie outside of direct Municipal control, so a ‘more-than-Municipality’ – rather than ‘institutionally-siloed’ – approach is crucial. Secondly, the question arises, does a different process necessarily lead to different outputs? External consultant-drafted strategies, rapidly written, are often academically sound, but can contain an uninspiring list of generic strategies and actions. Our initial sense is that the scenario planning process paves the way for stronger outcomes. There may be an increased likelihood that energy-related actions are understood, contextualised, bought-into, and implemented successfully through collaboration and partnership. Immediate impacts have been noted. 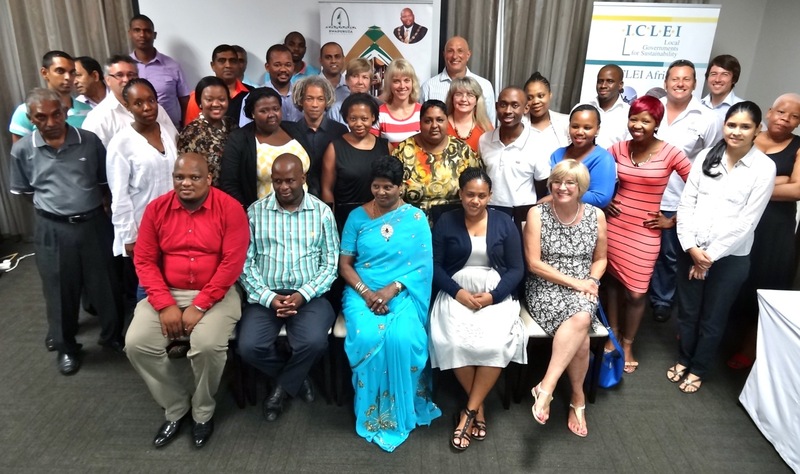 New KZN-based inter-municipal learning exchanges are being planned locally. Local businesses and the Municipality have begun to exchange on a range of renewable energy and financing opportunities. Recognising that the scenario planning approach does not negate the need for financial and spatial technical analysis, we will now work with the Municipality and external experts to package these ‘bottom-up’ ingredients into a strategic framework and action plan. If you would like to partner with us to support KwaDukuza (or other Urban-LEDS municipalities) to implement actions which can contribute to their 2030 vision, please do get in touch. 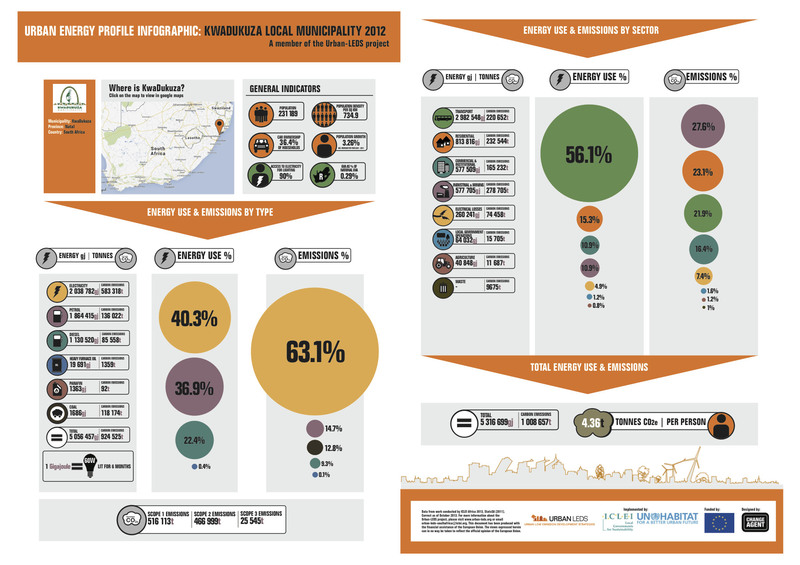 The global Urban-Low Emission Development Strategies (Urban-LEDS) project runs from 2012 – 2015 and is implemented in South Africa by ICLEI – Local Governments for Sustainability – Africa (ICLEI – Africa), in partnership with UN-Habitat and funded by the European Commission.